Pencil, Where is my Thyme Cover? 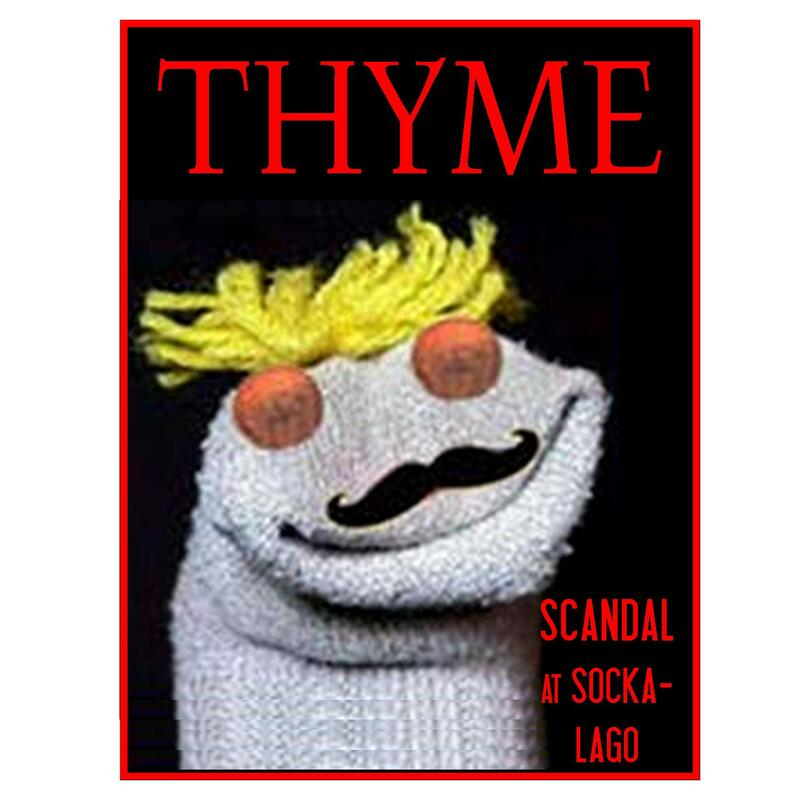 Pencil, how can I start Sock-a-Lago without a Thyme Cover? Yes, Brent my Sock-a-Lago course will have some of the best traps in the world. Join us on our next voyage to the Village of the Darned by selecting a headline, preferably something you can link, and be prepared* to lead the conversation on your chosen topic. With this crowd, any topic is on-topic at least once, so you don’t have to cater to anybody’s wishes. If the software tells you that you’re the only caller, don’t you believe it! Press on with the access code and you’ll probably find us in there! Project Veritas has a hidden camera on a producer. My older brother has arrived for a visit. He is my senior by seven years and is well into his retirement on two pensions and a lot of friends.